Lack of sleep can lead to fatigue and tiredness during the day. Without adequate sleep, you may have difficulty focusing on your work or daily chores properly. Continued lack of sleep can have serious physical and psychological consequences. Snoring not only reduces the quality of your sleep keeping you sleep deprived throughout the day, but also makes you vulnerable to a host of medical conditions including obesity, nocturia, headaches and GERD. Snoring is the result of the narrowing of the air passage during sleep. Excessive flabby tissue at the throat, long uvula, a soft palate or large tonsils are some of the prominent causes behind the narrowing of the air passage. In some cases, the deformities of the cartilage or nasal congestion due to allergies may be the reason behind snoring and other related problems. While there are many home remedies and artificial aids available to keep snoring at bay, I have found the use of essential oils to be most effective and safe against this problematic health condition. 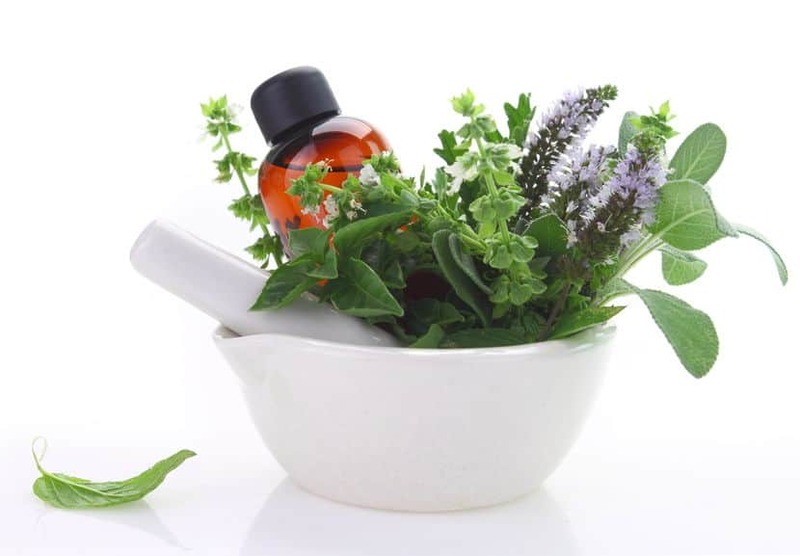 Essential oils have many medical applications, and there is a growing range of essential oils to choose from, each of which has powerful medicinal properties. How To Use Essential Oils For Snoring? Something as simple as gargle can help you cure your problem of snoring. Just gargle a few minutes before going to sleep at night with your favorite blend of essential oils and you will see an improvement. I personally favor the use of essential oil of peppermint for gargle; just be careful not to swallow it. Diffusion is the best way to make the most of essential oils and in turn yield excellent results when it comes to snoring problems. If you do not have a diffuser, you may consider one similar to this type. Mix the essential oils of your choice with a suitable carrier oil to make a blend. You can then rub this blend on your feet, neck and chest. Also try dabbing just below the nose. If congestion is the culprit behind your problem of snoring, inhaling hot steam mixed with essential oils can do wonders. Make sure your bathroom is warm enough to produce enough steam vapors. Just pour boiling water into a large bowl and add three or four drops of essential oil of tea tree / eucalyptus. Inhale the steam through your nose for at least 5 minutes keeping a towel over your head. Follow this schedule every day during bedtime until the congestion clears. With that said, here are some of the best essential oils I would recommend to get rid of snoring quickly and safely. Thyme is one of the best essential oils for snoring relief. Studies conducted on Thyme suggest that the oil can be used to cure respiratory diseases, strengthen the immune system and treat muscle and joint pain. For quick relief in the problem of snoring, mix thyme with a carrier oil such as jojoba oil (this is important because pure thyme oil can cause irritation in the skin) and apply to the base of the toes every night. As per traditional reflexology, spots at the bottom of the feet are responsible for the reflex actions of the neck area. You can also consider spreading the oil through your diffuser. When using a diffuser, start diffusing half an hour before you plan to go to bed to make sure that the oil is well spread by the time you are ready to go to sleep. If the odor of the pure thyme oil is too strong for you, you can use thyme in blends of oils that target breathing. Another powerful essential oil to help with snoring is the essential oil of marjoram. Smell the oil before going to sleep to keep the airway open during the sleep. Once the effect of this essential oil kicks in, your body keeps on responding to the effect of this oil for a long period of time. This means that if marjoram is run in a diffuser, you do not need to keep the diffuser running all night. The effectiveness of marjoram for the problem of snoring varies from person to person and each body reacts differently to this oil. According to the study conducted on the effects of Marjoram, only a few snorers reported that their snoring stopped in the first night itself with the use of this oil. It took other snorers six to eight weeks to completely get rid of snoring. So do not give up too soon! Eucalyptus essential oil is a decongestant that helps open the airways. In addition to helping with the problem of snoring, Eucalyptus is also a common remedy for colds and flu as it opens up the nasal passages and helps to breathe better. The best way to use eucalyptus essential oil to get rid of snoring and which is completely safe for both children and adults is as follows. Prepare a medium-sized bowl of steaming hot water and add 3-5 drops of eucalyptus oil to it. Place a clean, dry towel on your head, tilting your head over the bowl and breathe deeply. Try to stay in this position for 4-6 minutes. The anti-inflammatory property of peppermint helps to reduce inflammation of mucous membrane of the nose and throat making it easier for your body to regulate the breathing. Remedies based on essential oil of peppermint also work well for temporary snoring caused due to allergies, cold or dry air. Add few drops of the essential oil of peppermint to a glass of water. Gargle with the solution before bedtime being careful not to swallow the solution. Do this every day, until the desired result is seen. If the dry air and congestion is causing your snoring, add a few drops of peppermint oil (you can also use eucalyptus oil) for 30 minutes in a humidifier before going to bed. Run humidifier overnight. This helps to open the airways and prevent snoring. You can also rub little amount of peppermint oil on both sides of the nose before bedtime. Olive oil is an anti-inflammatory agent that works on the tissues surrounding the airway and reduces snoring by providing free passage of air. You can also bank upon olive oil for reducing the vibrations in your throat, which ultimately reduces snoring. Just take two or three sips of olive oil before going to bed every day. I often add honey to the olive oil to make it taste good. If you are just beginning to explore essential oils for snoring, try some of the recipes mentioned below to see what works best for you. You can adapt these recipes or create your own blend as you find out what suits you the best for your snoring problems. The blend comes with substantial value as it can help the body self-correct its balance and alignment. Misalignment of the body is a major cause for snoring and other breathing problems. Just blend frankincense, rosewood, blue tansy, spruce and almond oil in equal amounts (2-3 drops each) and use in a diffuser. While the above home remedy for snoring will be a little bit expensive, the blend is very balanced and has pleasant aroma, making it one of the best essential oil blends for you to use if you suffer from heavy snoring. Alternatively, it is also possible to use this blend as massage oil. Just mix the essential oils with career oil and massage on your neck area. You can also apply the blend at the bottom of the feet. Mix all the essential oils thoroughly and apply to the bottom of the feet, with particular focus on the toe before retiring to bed. In addition, try rubbing the back and wiping the neck near the nostrils. Mix all the essential oils and store in a dark glass bottle and massage over the chest before bedtime. Breathe deeply to clear the sinuses and nose. Shake well before every use. Mix 1-2 drops of essential oil of peppermint in a glass of water and gargle before bedtime. Mix all the essential oils in a mist spray bottle. Mist the room several times before sleeping and make sure that the snorer is able to inhale the mist. If required, you can mist one more time during the night to keep the snorer quiet. Shake well before every use. Blend all the essential oils in a mist spray bottle and mist the room several times before going to sleep. Consider misting the room one more time during the night. Shake well before every use. Ghee, also known as clarified butter, has medicinal properties that can help open the blocked nasal passages. This helps you snore less and sleep better. Heat gently a small quantity of ghee in a microwave oven. Use an eyedropper to put two or three drops of ghee in each nostril. Do this every day before going to bed and after waking up the next morning. Cardamom is an expectorant and decongestant that can easily clear your blocked nasal passages. Free air passage results in less snoring. Just add half teaspoon of cardamom powder in a glass of warm water and drink 30 minutes before bedtime. Being a strong antiseptic and antibiotic, turmeric treats the inflammation of your nasal passage and helps reduce snoring. Use turmeric with milk to help yourself breathe freely during sleep and strengthen your immune system. My bedtime schedule sometimes includes drinking a glass of warm milk with 2 tablespoons of turmeric added 30 minutes before bedtime. For permanent relief, follow this remedy everyday for a period of 30 days. 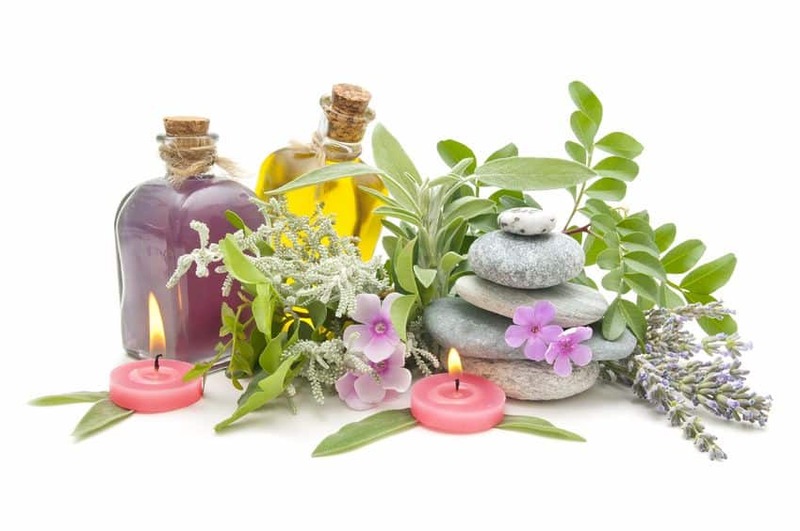 When buying essential oils, make sure that you get only the high quality and therapeutic grade essential oils. There is no standard process followed by the manufacturers to ensure the quality of the oil. So, it’s the responsibility of the buyer to ensure that they get excellent quality essential oils. The bottle of essential oils must mention all the ingredients used in the manufacture of the oil. The availability of such information ensures that the company is reliable and conducts business in an ethical manner. Look for purity data on the package and buy only the products that contain 100% essential oils. Keep away from those who have less or do not mention the percentage on the package. Check the smell of the product and you should be able to tell if the product is of good quality. Do not use essential oils undiluted and make sure that they do not get into your eyes. If you have a pre-existing medical condition, you should not use the oils unless advised by the doctors. If possible, always do a small patch test to make sure that you are not sensitive to the oils being used. Essential oils could well be a permanent solution for the treatment of snoring. However, you should consult your doctor so that the cause of your snoring is identified. In addition, give your body a chance to lose weight to avoid problems like snoring in the future; keep yourself hydrated and sleep with your head propped up. can i just use lavender essential oil and the carrier for snoring, or does the snoring remedy have to include the other essential oils? Indeed, you can start off with lavender and the appropriate carrier oil. If you don’t see any positive results within a few days of use, you’ll need to adjust and add the other essential oils too. It really does work…Sleeping quietly at my house! Thanks for sharing your positive experience about essential oils for snoring, really appreciate it. Hello which oils are you using please.? I have used AMOILS and I find them great. There are others that I use too, however I have started to develop my own range of essential oils (links below) and very soon I will have single oils such as lavender, peppermint, etc. available in a nice kit. Stay tuned. Weird, I use similar oil blends during the winter when my sinuses get really dry. I guess it makes sense that they would be helpful for snoring too! Thanks for sharing your comment about essential oils blends for your sinuses. Absolutely correct, they are effective for snoring as well. 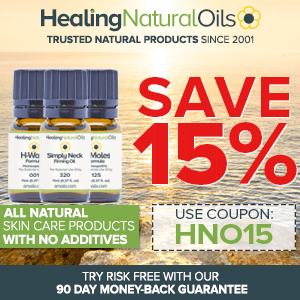 Make sure you purchase 100% therapeutic grade essential oils from reputable suppliers. If you need recommendations on brands, please let me know and I will email you in private.